Officer Eric Kelly was shot and killed after responding to assist Officer Stephen Mayhle and Officer Paul Sciullo, who had been shot and killed at the scene of a domestic disturbance. At approximately 7:00 AM, Officer Mayhle and Officer Sciullo received a call of a domestic disturbance between a mother and son in the Stanton Heights section of the city. When they arrived, they approached the front door of the house but were ambushed by the suspect, who opened fire at the officers, killing them both. Officer Eric Kelly, who was off-duty and returning home after his shift, heard the call and responded to the scene. The suspect, who was firing an AK-47 from the window of his home, shot and mortally wounded Officer Kelly as he exited his vehicle and attempted to aid Officers Mayhle and Sciullo. Despite being mortally wounded, Officer Kelly was able to call in the shooting and direct responding officers to the location. The responding officers were fired upon by the suspect, but were able to pull Officer Kelly from the line of fire. One officer was shot in the hand and another officer suffered a broken leg while rescuing Officer Kelly. Officer Kelly was taken to a local hospital, where he died from his wounds. The suspect, who was armed with several guns and protected by a bullet resistant vest, engaged responding patrol and SWAT officers in a gun battle, in which over 100 rounds were fired. After a four-hour standoff in which he was shot several times in the legs and vest, he surrendered. 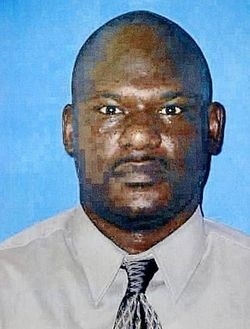 He was arrested and charged with three counts of aggravated homicide and assault, and sentenced to death on June 28, 2011. 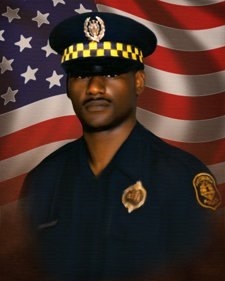 Officer Kelly had served with the Pittsburgh Police Department for fourteen years and had previously served with the United States Marine Corps. He is survived by his wife and three daughters.